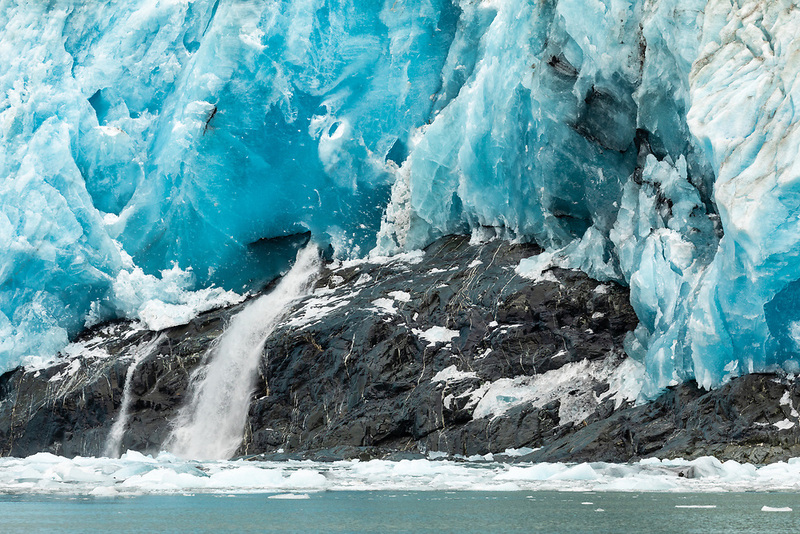 Melt water flows out from Surprise Glacier in Prince William Sound in Southcentral Alaska. Summer. Morning.